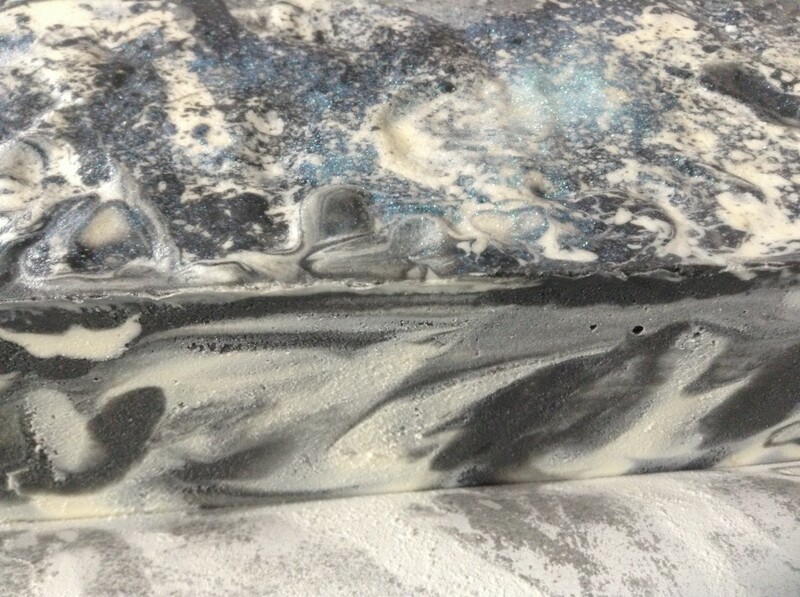 The soap making world has rightly been abuzz about the publication of Soap Crafting: Step-by-Step Techniques for Making 31 Unique Cold-Process Soaps, by Anne-Marie Faiola, the Soap Queen herself. This book is great for anyone at any level from beginner to expert. The book starts with a basic tutorial and essential equipment inventory as well as a good basic recipe. I wish I had had this book when I started making soap because I like Anne-Marie’s basic recipe much better than the one I tried. Anne-Marie’s book is one of the few I’ve seen that actually mentions the formula for calculating the amount of oils to use in your recipe for the size of your mold (see page 110). Why most books omit this important information, I’m not sure, but it would have been really helpful to me as a beginner. I also like Anne-Marie’s creative suggestions for molds, which is yet another feature I would have liked in a beginner’s book. 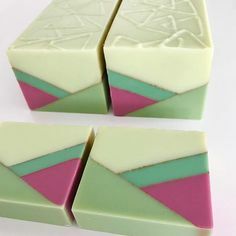 In addition to a basic recipe and advice on equipment and safety, Anne-Marie offers a good introduction to the different types of soap making oils, types of colorants and how to choose them, and using essential oils and fragrance oils. All of this is advice I have found sorely lacking in most soap making books. 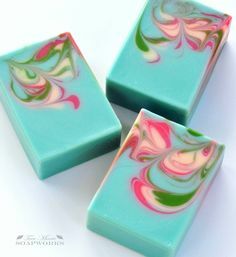 Following the introduction to learning to make soap, Anne-Marie shares 31 recipes, each designed so that the reader can try new techniques, include using colors and different types of swirls, using various types of molds, and using foods other additives. It is easily the most comprehensive soap making book in terms of addressing beginners and advanced users because it includes both a basics section and more advanced tutorials (including some techniques I hadn’t tried or hadn’t heard of). The recipes all have great step-by-step instructions. I like the “Jackson Pollack” look when you get to the end of the bottle. Next time I might leave the glitter off, too. 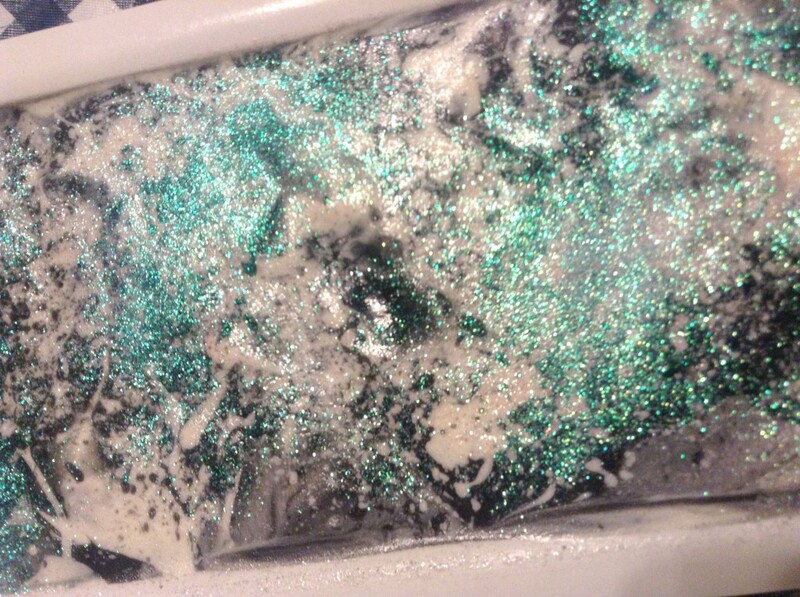 I used anise essential oil and peppermint essential oil to scent it, and I used activated charcoal to make the black soap. Mine will probably turn out to be more of a true swirl than Anne-Marie’s soap in the book because I think mine was at a thinner trace. In addition to the great instructions and recipes, the book is filled with gorgeous full-color photographs, and the book itself is available in two formats: e-book and spiral-bound. The spiral binding allows the book to lay flat when open, just like a cookbook. It’s interesting to me how few other soap making books are designed in this way, which would make them much easier to use as you’re whipping up a batch of soap. Anne-Marie’s book is easily one of the best soap making books I’ve read. Highly recommended for soap makers, no matter whether you’re just starting or you’ve been making (and even selling) for years. Love the book, Anne-Marie! Update: Here is a pic of the cut bars. 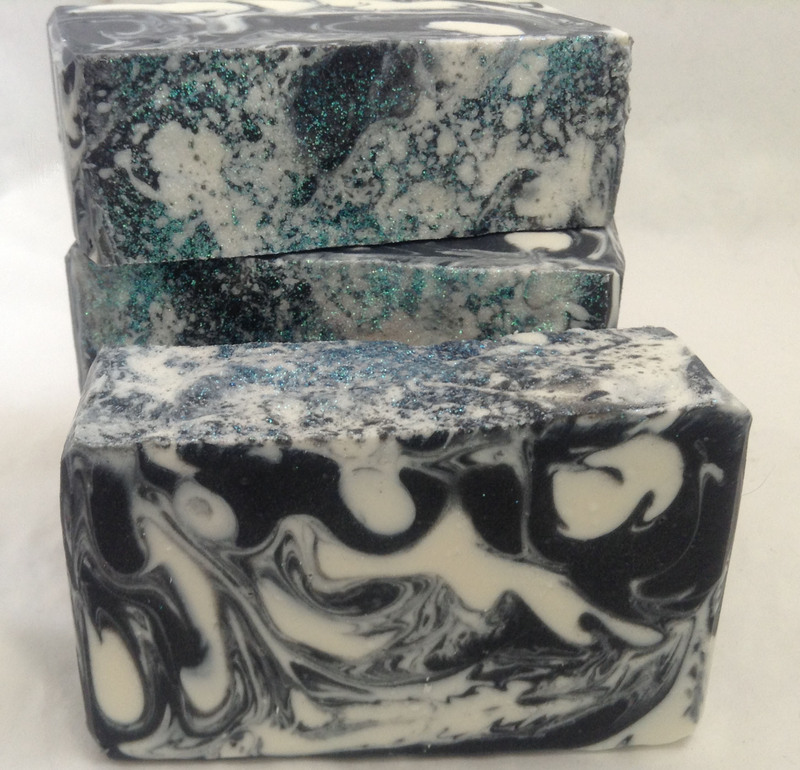 Love the way they turned out, even if my soap was too fluid, and it was more of a true swirl than the book depicted.